in Rosia Montana, a Transylvanian village in the Apuseni Mountains. In order to execute this project, the company wanted to blast away 4 mountains, relocate 2.064 privates properties, tear down 975 houses (out of which 41 houses are considered national heritage sites), demolish 7 churches and relocate 11 cemeteries. Rosia Montana is a Transylvanian village in the Apuseni Mountains where, in 2000, the Rosia Montana Gold Corporation announced its intentions to open what would be the largest open pit gold mine in Europe. In order to execute this project, the company wanted to blast away 4 mountains, relocate 2064 privates properties, tear down 975 houses (out of which 41 houses are considered national heritage sites), demolish 7 churches and relocate 11 cemeteries. Annually, the company expects to extract around 285 tonnes of gold and 1,361 of silver by using 12,000 tonnes of cyanide with the creation of 634 jobs during a period of 17 years. The history of Rosia Montana is related to the history of gold mining because the exploitation of the mine started in the Roman era (1,881 years ago) and continued until 2006. The former mine has already revealed the negative impacts of mining activities with the deterioration of water and soil quality. This project has divided the population of the community of Rosia Montana due to the fact that most of the inhabitants were mine workers and the closure of the local gold mine in 2006 resulted in high levels of unemployment. In 2000, a strong local opposition to the gold mining project quickly emerged when the Canadian mining company, Gabriel Resources, announced its intentions to destroy the historic village of Rosia Montana. The “Save Rosia Montana” Campaign -the biggest environmental movement in Romania – was born, coordinated by the local association Alburnus Maior. This movement spread all over Romania and Europe. The main concerns were the excavation of the mountain tops, the degradation of nature, the loss of cultural heritage and, above all, the use of cyanide due to the Baia Mare accident in 2000. The huge cyanide leakage from 2000 in Baia Mare is obviously still in the minds of the population. When the dam of a gold mine in the region of Baia Mare broke, more than 1,000 millions litres of water polluted with cyanide were released. It ended up in the rivers Lapus, Somes, Tisza and eventually the Danube, that carried the water to the Black Sea. Flora and fauna around the river were completely destroyed. The disaster was described as the worst that had ever happened in Europe since Chernobyl. In December 2013, Romania’s government attempted to modify the country’s mining law in favor of the mining industry. Unconstitutional expropriation law arose in favor of the mining industry. The bill consisted of unconstitutional expropriation proceedings, the obligation for authorities to issue permits, exemptions from the applicability of the law on historical monuments, natural monuments and European water framework, etc. This bill was denounced by civil society and was rejected by the Romania’s Lower House in December 10th, 2013. Gabriel Resources lost a crucial parliamentary vote of confidence. After long debates inside the parliament and widespread demonstrations throughout the country, Romania’s deputies rejected a series of amendments designed to kick-start the hugely unpopular Rosia Montana mine development. This decision was an unprecedented victory for Romania’s civil society. In July 2015, Gabriel Resources announced the submission of a Request for Arbitration at the World Bank’s international Centre for a special settlement of investment disputes. They demand compensation and a special settlement from the Romanian state. They are asking two per cent of the entire value of the Romanian economy in compensation for profits’ lost . Moreover, the mining company’s legal bills are being financially backed up by a Wall Street hedge fund in return for a claim of the spoils. To avoid facing these costs, the Romanian government may be forced to open the mine, or Gabriel Resources could just walk away with a vast amount of public money as compensation. See the explanation of the TAFTA (Transatlantic Free Trade Agreement) and tribunal arbitration (investment arbitration) in this video. Rosia Montana has an archeological and cultural value thanks to its pre-Roman and Roman mine and numerous monuments dates back to different time periods. According to a study made by Oxford and Leicester University, “the Roman mines at Rosia Montana are the most extensive and most important underground mines known worldwide”. In 2009, the ARA association, an NGO specialising in architecture restoration and archaeology, submitted a detailed proposal for Rosia Montana to be included on the country’s tentative list of UNESCO World Heritage sites. 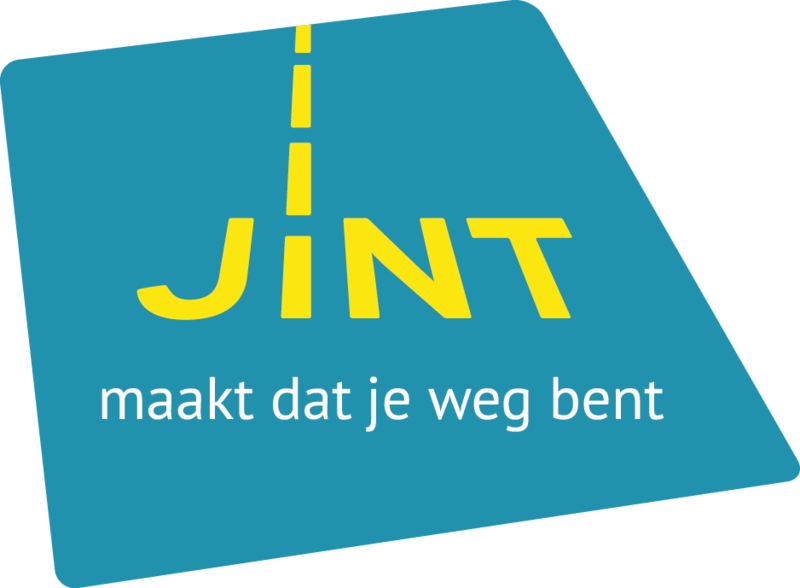 Despite the strong support from the national and international scientific community, the request was ignored by 10 ministers of culture. The act of adding Rosia Montana to the country’s list of tentative UNESCO can only be done with the signature of a Minister of Culture. 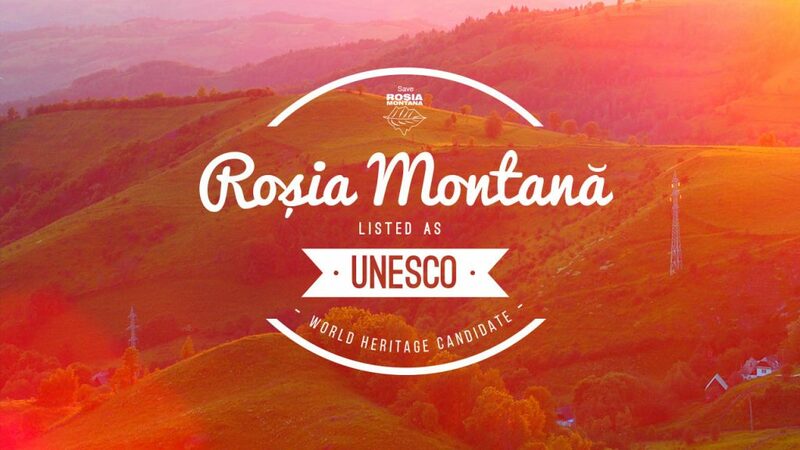 But finally on February 5th 2016, Rosia Montana was submitted on the list of tentative UNESCO site by a minister of culture. “This is not just a huge gain for our cultural heritage, it’s a great victory for civil society- for the thousands of people here and abroad demanding for Rosia Montana to be saved” said Eugen David, president of the Alburnus Maior Association of local residents. Rosia Montana holds one of the largest gold and silver deposits in Europe. The Rosia Montana area has been in operation since the Roman Empire. This and later historical mining caused widespread environmental damage. The former RoșiaMin mine, for example, reveals the impacts of past mining activities. The water quality and soil are deteriorated and there are negative human health consequences. The negative impacts continue as long as the site does not get rehabilitated. Next to environmental and health impacts, the ending of the state-owned mine and other mines in the area in 2006 also had other severe consequences for the residents, namely unemployment and extreme poverty, mainly. The state-owned mine, for example, employed almost all the local workers. Later at the end of 2009, three years after the closure of the mines, data showed that 70 % of the people in Rosia Montana were unemployed. A new mine site in Rosia Montana was planned. It would be composed of four separated opencast pits which would allegedly meet all the EU and international standards. The site would take two years to be constructed, the metals would be digged up during sixteen years and the last seven years would be used to close and remedy the area. And for the following 30 to 50 years observation and inspection will have to continue. Gabriel Resources holds 80 % of the stakes of this project, the other 20 % is part of Minvest Rosia Montana S.A, which is a state-owned-mining company. Together they form the Rosia Montana Gold Corporation, which holds the exploitation license of Rosia Montana. Gabriel Resources already invested more than 1.5 billion dollars in the site, since they obtained the mining area in the late 1990s. The project would generate directly and indirectly 24 billion dollars for the Romanian state and would offer thousands of jobs. This project is considered the most important foreign direct investment in the country. Allegedly, it offers an opportunity to boost the growth and development of the Apuseni region, were mining has been happening for centuries. But according to Gabriel Resources, Romania has been hindering the development of the Rosia Montana project, without due processes or compensations. Consequently, the return of the company investments has been negligible. They allege that they wanted to dialogue with the Romanian government and president in 2015 about the case, but that they were given no response. That’s why they wanted to prosecute the country. Gabriel Resources asked in July 2015 compensation in an international arbitration before the World Bank’s International Centre for Settlement of Investment Disputes (ICSID). During this arbitration, the company confronted the Romanian government for delaying their mining project. They claimed that Romania had violated provisions of the “International bilateral investment protection treaties”, which the country signed with Canada and the United Kingdom. The Romanian government firstly supported the mine, but changed their opinion in 2013 after widespread protests across the country. Many Romanians opposed the project because of the environmental consequences and pollution – mostly linked to the use of cyanide- and the consequent damage that would be brought to four mountains in a historic area and to the Roman-era mining shafts. They also protested against the political corruption involved. However, the Gabriel Resources company stated that the project would help the rehabilitation of the polluted area from previous mining. At the moment it looks like the mining company will have to revise the plans for the mine. This is because Rosia Montana and the area two kilometers around it were declared part of Romania’s Historical Monuments in December 2015 by the Ministry of Culture. This monument includes the mining sites. As a consequence, the area is protected against industrial activities like mining. The town was considered a historic monument before in 1992, but lost this status due to decisions by the Ministry of Culture in 2004 and 2010. It seems like the Romanian population won the battle, but they will have to continue to be vigilant that the government doesn’t change their policy or that the company doesn’t find another way to continue their project.